CHANCE TO WIN UP TO $500 STAR CASH! 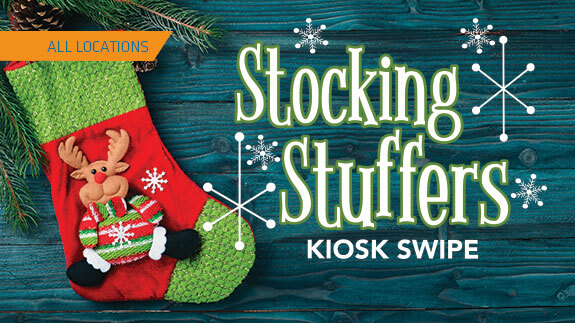 First 400 guests to earn 50 points get to play the Stocking Stuffers Kiosk Swipe game. Simply swipe, pick a stocking, and you win!